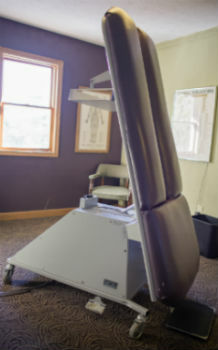 Based on your health goals and preferences, Dr. Andy will choose the appropriate adjusting method for you. We focus on instrument adjusting to deliver a precise adjustment for quick results. At our new patient orientation, we’ll give you the basics of the anatomy of the body. With this foundation, we’ll talk to you about the statistics and safety of chiropractic care to put you at ease. Plus, patients love our gentle adjusting techniques. You can count on us to be transparent and to provide valuable care as we build a relationship based on trust. Just as you brush your teeth to have a healthy smile, maintaining a healthy spine is a crucial aspect of your wellness. Your health is in your control; therefore, while we hope to see you regularly for care, you choose how often you see us. If you have further questions, or you’re ready to begin care, contact us today!